This sheet provides the extensive F-4 Phantom airframe data (including panel numbers/labels) for either an F-4B or F-4J. The airframe data included is the painted (open stencil) type of markings commonly seen in the 1960's into the early 1970's on USN/USMC F-4B and F-4J Phantoms. Includes placards for the landing gear, speed brakes, speed brake wells, auxiliary air doors, wing external fuel tanks, and main and nose gear doors. Also includes markings for all pylons, bomb adapter racks (inboard and outboard pylon types), and LAU-7 rail markings. Note that this is not the printed (full letter) style of airframe data - check references for which style of airframe data was applied for a specific F-4. Will definitely order a set, how about a set of walkways! Very nice! A definite purchase for my F-110A build. I literally ordered that Cam stencils two weeks ago. While they are nice, I will have to spend the extra money to buy these. Based on my experience with your Intruder decals I'm sure these will be worth it! 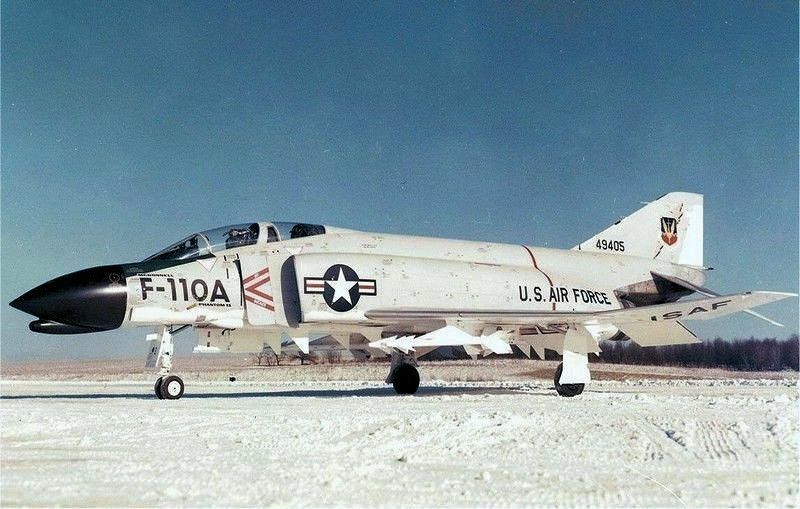 I talking about the two F-4Bs painted up in USAF marking and the F-110A logo. I understand now, Thanks for setting me straight! The Zotz sheet is the style in the first photo (black closed letter type markings on grey surfaces with grey markings on white surfaces) but it's OOP. I'm not sure what the CAM sheet is meant to represent, it's similar to that type but doesn't include any panel markings and the underside data is black rather than grey. The Zotz sheet is the style in the first photo (black markings on grey surfaces, and grey markings on white surfaces) but it's OOP. I'm not sure what the CAM sheet represents, it's similar to that type but doesn't include any panel markings and the underside data is black rather than grey. I'll have to dig through my Zotz sheets I think I have it, I hope. Can't have too many stencils. Tell me more (like how much?). No plans to do a stand alone walkway sheet. I try to include them in most of my own sheets for the specific subject though. Haven't figured out total cost yet, still need to do the instructions and not sure how many pages it will end up being.